Campaign Against Living Miserably have announced a new campaign titled Torch Songs highlighting the power of music with mental health problems and it’s ability to lift people out of dark times. Mental health and creativity have always correlated and being a musician is a profession that can be especially challenging to artists and their mental wellbeing. “If you spend a lot of time touring you’re riding this high all the time, you’ve got people around you and you’re feeling great every day getting all of this emotional response from what you’re doing and then suddenly you come home and nothing happens. It’s like a big crash and that can be real bad,” offers Blaenavon drummer Harris McMillan. Music fans are also being encouraged to support the campaign by sharing their own personal torch songs using the hashtag #whatsyourtorchsong. 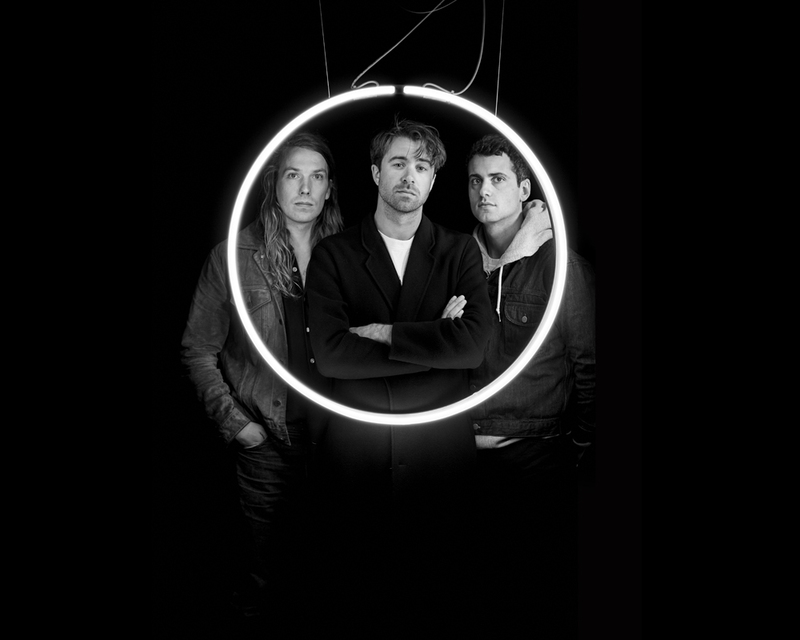 Taking time away from working on their fourth record, The Vaccines have covered ‘Hope’ originally by Descendents for the initiative. Clash caught up with frontman and indie rock ringleader Justin Hayward-Young to find out more about the band’s involvement in the campaign. What made you want to get involved with this campaign? Firstly I think mental health in young men is a subject that’s close to home for various members of this band, it’s something that we know about first hand, so that was obviously a no-brainer and secondly, we’re in the studio at the moment and we’re writing, rehearsing, recording and making music and it’s always fun to be able to take a break from that and play one of your favourite songs. You chose Descendents’ ‘Hope’ for your torch song, was that an easy choice, or were there other contenders? We were practicing a Harry Nilsson song and we were practicing a Prince song but ‘Hope’ is one of my favourite songs. You can’t really get much better than a song called ‘Hope’, so it was a great message. Pretty much every band I’ve ever been in has covered it and it’s always been a light in the dark for me. I remember the first time I ever heard ‘Milo Goes To College’, which is the album it’s from, and it changed my life. It gave me a lot of strength through my teenage years. The track has got that exciting, frenzied, quintessential Vaccines sound, is that something you thought about when you were recording it? I think it’s a heavier sound, I mean it’s pretty quintessential Vaccines, but we wanted to go a little harder and faster than they did on their version, and perhaps because we’re doing our new stuff at the moment it was like no uniform day at school. Being a musician, do you think your mental health is challenged more than some other professions? There are definitely elements of it that do. The touring lifestyle, obviously, and even something as simple as putting yourself out there in a way that most people don’t normally do. Everything you do is subject to criticism and that’s a very vulnerable position to put yourself in, but on the flipside there’s this catharsis that comes with making music and making art. There’s this release and process you go through that a lot of people are unable to go through. I guess some people will play sport other people will paint, I play music, but some people don’t have that outlet. I often wonder if I didn’t have music how much more crazy I would be. Is creating music a process you find therapeutic? Absolutely, even something as rudimentary as lyrics, if you’ve had your heart broken or someone has made you angry, there’s no feeling like putting that into a song. Whether it’s longing or retribution, my relationship with music has always been a lyrical relationship. I‘ve always said in songs what I was too afraid to say to people in everyday life, so I’ve always found it so therapeutic and cathartic. Do you think the issue of mental health is still overlooked, especially concerning musicians? It’s a topic that everywhere you look now it’s being tackled, even with the music industry. It’s not the first time I’ve been asked to talk about mental health and I think everywhere you look now people are trying to address it because they realise how it has been underfunded and ignored for too long now. It’s a good thing that people are confronting it head on but I think there’s still a lot of work to do, even within my friends, it’s clear by their reactions to more personal matters and matters of the heart that there’s still a lot of work to be done on the ground level, getting young men to open up and talk about their feelings and their problems and their issues and not suffering in silence, suffering alone. Seeing as the campaign is raising awareness of the power of music and it’s ability to uplift people, can you give me an example of when you’ve been completely astounded by a piece of music? You’re really putting me on the spot there, my brain panics and it shuts down when people ask me important questions like that [laughs]. Music astounds me every day. I walk two or three hours a day and I do it just so I can listen to music. I find it so empowering and on a daily basis I think about how lucky I am to have that relationship with music. For more information about the work done by CALM visit their website.